I have been working on several personal projects since 2013 that suddenly incarnated into physical publications almost at the same time. I would like to introduce those works during an afternoon of friendly and comfortable but attentive listening. During a few days, I recorded sounds in an industrial area of Xinzhuang, not only environment sounds but also improvising in the locations with metal structures I found. Later I composed a rather long piece relating the feeling of decay and abandon I could witness there (CD, Kalerne Editions, TW, 2015). I have a strong nostalgia for the mountains near the place I grew up : the Mediterranean Alps. Last year, I could visit two places, a peak in the Mercantour National Park and the surroundings of an abandonned mine. Both hikes inspired some site related work (CD, Kalerne Editions, TW, 2015). His sound practice was initiated around 1996, studying tape music (musique concrète in French) : discovery of the physicality of the magnetic tape, vertigo-inducing analog synthesis and acousmatic pleasures. However, it's outdoor that things really started. 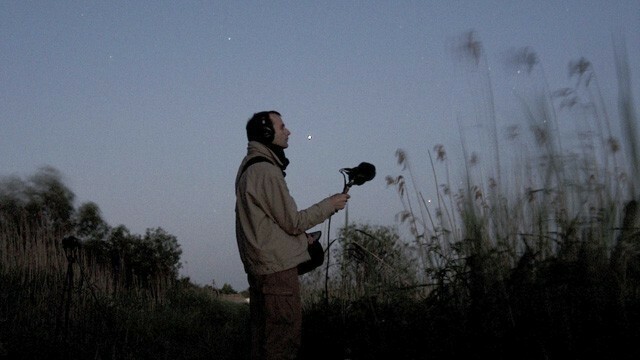 He began working with field recording since 1998, during a travel in a distant country, capturing fragments of environments, urban situations, animal signals and unusual acoustic phenomenas. Those are his favorite materials, sometimes published like they are as phonographies, or providing some montage elements for some audio documentaries or musical compositions. On stage, he improvises mainly with recorded sounds, modular synthesizer and computer. Regular collaborations with other sound artists, contemporary dance (since 2007, produces soundtracks for Horse Dance Company in Taiwan) or in association with visual artists (such as the creations about landscape with Wan-Shuen Tsai). Experimenting the perception of acoustic spaces with sound installations. His activediscography includes personal compositions, documentations of performances, and selected phonographies. Fascinated by ethnology and natural sciences, he often wanders into these domains in collaboration withnaturalists or during community-based projects in Taiwan in Hakka or aborigine villages. Plans for the next years include more exploration sessions of the island through artistic activities and sound documentation as well as teaching actions.